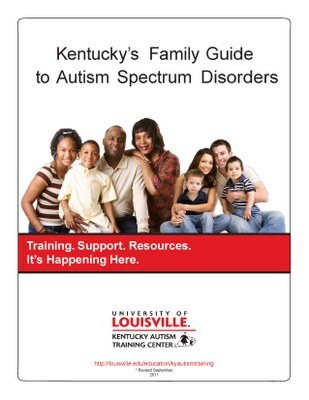 The Kentucky Autism Training Center (KATC), a part of the University of Louisville's College of Education and Human Development, is pleased to introduce Kentucky's Family Guide to Autism Spectrum Disorders. This comprehensive guide was developed by parents, professionals and individuals with autism spectrum disorders to answer the question: "When your child was first diagnosed, what information did you need most?" The KATC honors the compassion of Dr. Pinkstaff by dedicating the second edition of the Kentucky’s Family Guide to Autism Spectrum Disorders to his memory. Dr. Thomas Pinkstaff, a longtime Lexington pediatrician, passed away April 12, 2009. During his long career in pediatrics, Dr. Pinkstaff was an active member on a wide range of associations, committees and boards, including the Kentucky Autism Training Center, and served as president of the Kentucky Chapter of American Academy of Pediatrics. He was a tireless advocate, consultant, and educator regarding children’s health issues, but was especially passionate about education and support for individuals with autism. Download the separate chapters for the Family Guide 2nd edition (Revised) [PDF]. Please be aware that you may need the Adobe Acrobat Reader to view these files.